Tropezina will stay at home to run at Caulfield rather than travel to Sydney for a $1 million race. Trainer Henry Dwyer has scratched Tropezina from the $1 million Inglis Sprint in Sydney, with the in-form filly to stay in Melbourne to chase a black-type win in the Kevin Hayes Stakes. 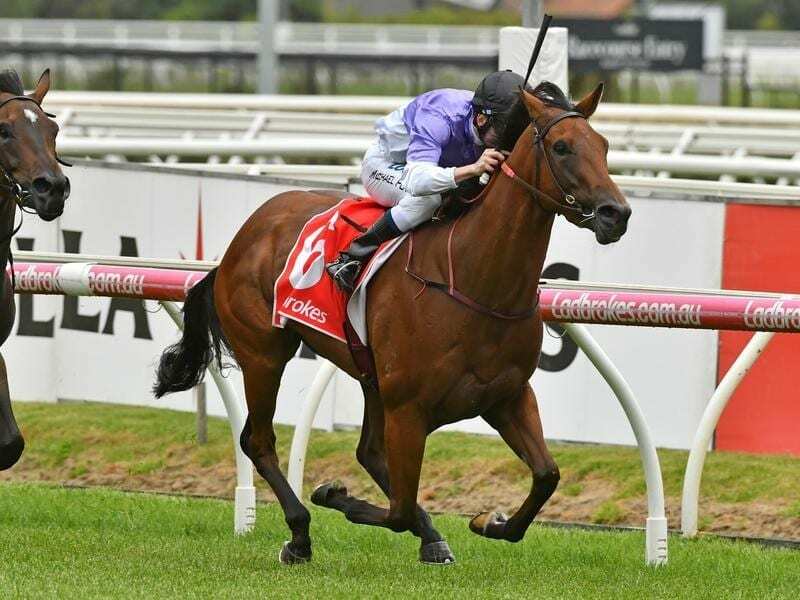 Tropezina has won at Mornington, Caulfield and Flemington in her three starts this preparation, with her most recent victory coming in last month’s sales-restricted Inglis Dash (1100m) at Flemington. Instead of travelling to Sydney, Tropezina will run on her home track at in the $160,000 Group Three Kevin Hayes for three-year-old fillies. “With these young fillies, black-type is probably more important than prize money,” Dwyer told RSN927. “We put her in that race (Sydney), thinking it probably wouldn’t be as strong as it was. “You’ve got a Golden Slipper winner (Estijaab) in there and a couple of pretty promising horses. “She was about fourth or fifth favourite and if you’re going to put them on a float and go all the way up to Sydney, you probably want to be pretty sure they’re a winning chance. Tropezina has the outside draw in barrier 10 at Caulfield and Dwyer expects the filly to press forward and be in the first two. Dwyer admits 1200m is a query but believes the filly is ready to run to her best. ‘She is going terrific and she will run up to her best. We’re just not quite sure where that best is,” he said.